Last week was a busy week. I created 10 farewell books for the missionaries who left the mission. Then 18 new Mongolian missionaries arrived in the mission from the Philippines MTC. We still have American missionaries waiting to come because they can’t get visas. The American missionaries have been temporarily reassigned to other missions. Last week was also a Big Transfer as well as time to send all of the missionaries’ allotments to their debit cards. Friday Sep. 25th we decided to take a trip before winter sets in. A week before the temperature went down to 28° F. and there was snow on the ground. Friday we went to Terelj National Park, the birth place of Chinggis Khan. The pictures will give you an idea of what we did. The weather was overcast, but it was still a nice day. We rode camels and Wes rode a horse. I was able to get on the camel because it came down for me, but I decided I wouldn’t be able to get on a horse; it was too high even if Mongolian horses are shorter than American horses. We saw Turtle Rock, a rock formation that looks like a turtle, Then we went on to the Meditation Temple. I think the Buddhists chose locations with impressive views for their temples. We climbed 115 steps. On the way back we saw the 100 Lamas Cave. The opening looks small, but 100 Buddhist monks were saved from Stalin’s purges by hiding in the cave. On Sunday at Church we told a couple of missionaries we were going to go home and have tuna noodle casserole. That sounded good to them so Elder Whittle and Elder Byambadorj joined us for Sunday dinner where we had tuna noodle casserole, green beans, jello, cornbread, and apple crisp with ice cream. This is not our normal eating. Often we just have a bowl of soup for dinner. Elder Whittle took the recipe home so he could made tuna noodle casserole himself. When he had been at dinner the previous Sunday with all 10 of the Sukhbaatar missionaries, he liked Dad’s rolls so he took home the roll recipe and made rolls. With all 10 of the missionaries we had roast, mashed potatoes, green beans, raspberry jello with cherries, and cake and ice cream. Mongolia has its first patriarch. His name is Brother Batbayar from the Selbe Ward in the Ulaanbaatar West Stake. The Ulaanbaatar West Stake is the first and only stake in Mongolia and was organized just last June 6, 2009. Elder Pratt, second counselor in the Asia Area Presidency, and Elder Ho, an Area Seventy, came to visit the mission on Labor Day weekend. The senior couples were able to meet with them at President Andersen's home on the evening of Sunday Sep. 6th. Elder Pratt spoke of the covenant of consecration. The General Authorities and the Area Seventies give what the Lord asks. If they are required to travel, it is O.K. ; it is part of their covenant. They have it easier than Brigham and Heber; Brigham and Heber didn't have Skype. He referred to DC 100:1: "Your families are well; they are in mine hands." 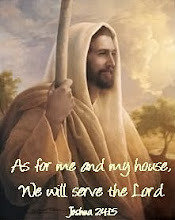 The Lord protects your families by your service to Him. Prayers and tears and much fasting and temple rolls help bring children back. We should never stop loving and accepting our children and grandchildren. Elder Ho even with his traveling on Church assignments always has family home evening on Sunday night. Their family's home evening is held in four locations. They get together on Skype as a group meeting. They have assignments just as they would if they were together in one location. It is 6:30 am Sunday morning in Vancouver, Canada and 9:30 pm Sunday evening in Hong Kong. William, this is how you can hold family home evening with your family when you are in California and they are in Utah. Monday Sep. 7th on Labor Day we traveled with Brother Batbold, second counselor in the mission presidency, to bring the Laytons down from Selenge to Ulaanbaatar. It was about a four hour ride each way. We enjoyed being out of the city in the country where it is still green and pretty. Along the way we saw camels and yaks. Selenge is only about 15 minutes from the Russian border. As we were getting closer to the border town, Brother Batbold had us put our camera under the car seat out of sight. We drove to where cars were waiting in line to cross the border. Looking into Russia, we saw that it looked the same as Mongolia. Later we understood that there is another crossing nearby where you can get a pass and step into Russia. Having to put the camera away reminded me of 48 years ago when I was arrested and detained by Czechoslovakian soldiers for taking their picture and also getting my camera confiscated. The first picture below shows the clearing dividing Mongolia from Russia; Mongolia is on the left and Russia is on the right. The second picture is of a church in Russia. We brought the Laytons to Ulaanbaatar so they could return to the States. Elder Layton's health has been declining. In the city he learned his kidneys are failing. The Jacksons have been serving in Ulaanbaatar. He learned he has cancer on his nose. Because of these couples' medical emergencies, they are being released. They returned to the U.S. on Wednesday Sep. 9th. We will really miss them. They served so well here in Mongolia, and we enjoyed their friendship. Tuesday evening at President Andersen's apartment we held a get-together in honor of the Laytons and the Jacksons. On Thursday Sep. 10th our English classes began again. We teach English to young adults in the Bayanzurkh building from 6 - 7 pm on Tuesday and Thursday and English to doctors and nurses at Hospital 2 from 3 - 4 pm on Monday and Wednesday. This is in addition to Addiction Recovery from 7 - 8:30 pm on Tuesday and piano from 9 am - 12 pm on Saturday. Because of construction work at the hospital, we do have another week or two before the Hospital 2 classes begin. Sunday evening Sep. 13th we enjoyed having the Caldwells over for dinner. We cooked roast beef for dinner for the first time since we've been here. We had discovered a Settlers of Cataan game in the seniors' closet, and we showed them how to play the game. Travis we are so sorry for the loss of your father. We love you very much. William Tyler Littleton, 63, formerly of Lodi, died Aug. 30. He was born Mar. 3, 1946 in Stockton. Mr. Littleton lived in Ocala, Fla. and worked at Stennis. He attended Diamondhead Community Church. He is survived by wife, Lori Littleton, of Ocala, Fla.; son, Travis Black, of Utah; daughters, Tami Jameson, of Roanoke, Va., Tina Thomas, of Utah, Wendy Roessler. of Austin, Tex., and Jenny Tibbetts, of Utah; sister, Darlene Basore, of San Diego; and 11 grandchildren. He was preceded in death by his father, Eugene B. Littleton; and mother, Mary Ella Smead. Funeral services will be held at 1 p.m. Sept. 9 in the Evergreen Chapel. Visitation will be held from 11 a.m. until 1 p.m. in the Evergreen Chapel. Cherokee Memorial Funeral Home is assisting family with arrangements. William Tyler Littleton, 63, of Ocala, FL passed away on Sunday, August 30, 2009 in Mobile, AL. The visitation will be on Wednesday, September 2, 2009 from 3:30 pm until 6:00 pm at Edmond Fahey Funeral Home in Bay St. Louis, MS with a service at 6:00 pm. His body will be sent to Cherokee Memorial Chapel in Lodi, CA for visitation from 11:00 am until 1:00 pm on Wednesday, September 9, 2009. Interment will follow the 1:00 pm service. Tuesday was zone conference for two missionary zones at Bayanzurkh. The announcement was made to the missionaries that Elder Lasson will be the new first counselor to President Andersen in the mission presidency. Elder and Sister Lasson arrived in Mongolia one month ago. He will be great in this calling, but he will also be very busy between the mission presidency and overseeing Deseret International Charities and the teaching of English with his wife. At the beginning of the zone conference all of the missionaries arise and recite D&C 4 in unison, both in Mongolian and in English. Then they recite My Purpose, again both in Mongolian and English. Invite others to come unto Christ by helping them receive the restored gospel through faith in Jesus Christ and His Atonement, repentance, baptism, receiving the gift of the Holy Ghost, and enduring to the end. The missionaries were reminded that when they were set apart as missionaries, they were set apart from the things of the world. They were reminded that obedience to the commandments and to the mission rules helps us to be better. The importance of teaching from the scriptures was emphasized. Each zone conference always has a theme on which all of the missionaries are to be prepared to give a short 3 minute talk. A few missionaries may be called on at a zone conference to 1) share an experience in the past week where they accomplished their missionary purpose, 2) give a talk on the assigned topic, or 3) bear their testimony on things they've learned by the spirit at this zone conference. The assigned topic was adversity. Wes and I both prepared talks. Wes' talk is not written down, but I wrote my talk so I'm attaching my talk.